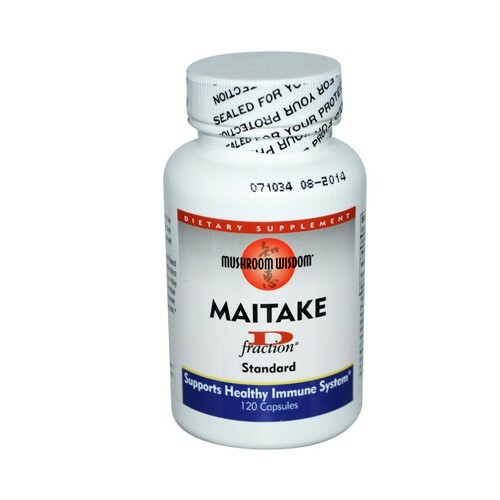 Maitake mushroom has been found to be one of nature's most potent and effective immune enhancers. It contains a unique protein-bound Beta-1,3/1,6 glucan, D-fraction, which has been tested and found to be the strongest among many of the most powerful immune boosters. D-fraction may increase numbers of immune cells, increase activity of these immune cells, and improve overall functioning on the immune system. Free Of Sugar, yeast, mold, corn, salt, wheat, soy artificial color, dairy foods, preservatives, or synthetic pesticides or fertilizers. Disclaimer These statements have not been evaluated by the FDA. These products are not intended to diagnose, treat, cure, or prevent any disease.